Three of Australia’s leading early-music specialists recorded this album in collaboration with Australian Broadcasting Corporation. It contains four of Handel’s famed recorder sonatas in the early John Walsh edition, in exemplary performances. 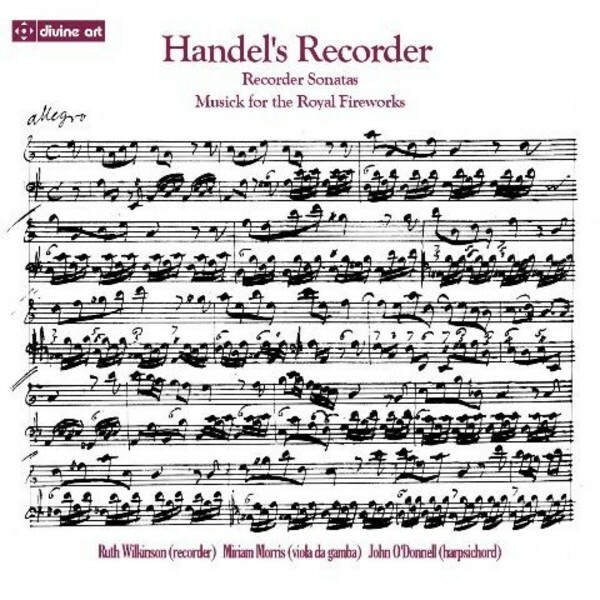 The major and most unusual work on the album is the John Walsh edition from the 1740s of the Music for the Royal Fireworks in a chamber version, arranged here for recorder and viola da gamba with harpsichord continuo. It was one of many variations of the work which were popular before the full orchestral version became the ‘norm’ at a much later date. While of short duration, this is a program that is complete and has full integrity as a concert program.